Any of you who read my ramblings in magazines like The Field may recall that I wrote a piece a year or so ago on the potential for big trout in Scottish rivers. 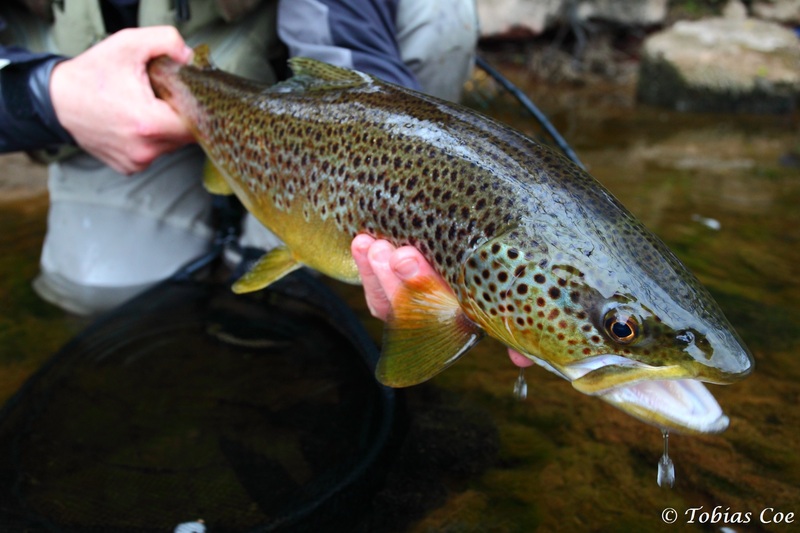 The potential for sport with big trout is often overlooked, however, in favour of the more famous salmon and sea-trout. 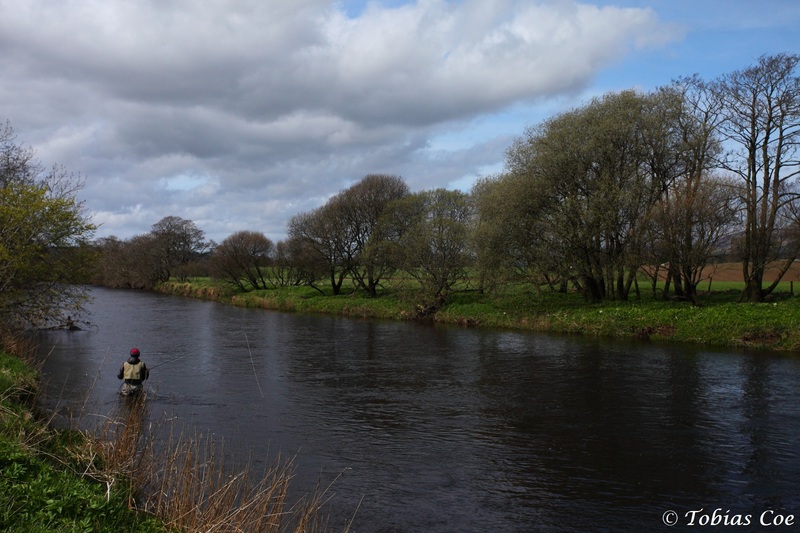 Taking my own advice, I headed to the River Annan at the beginning of May to try and hook into some of the river’s fabled big wild brownies, with fishing buddy Howard Colmer. We weren’t disappointed. Despite cold conditions and a strong wind, our first day provided some of the best river fishing I have experienced anywhere in the world. 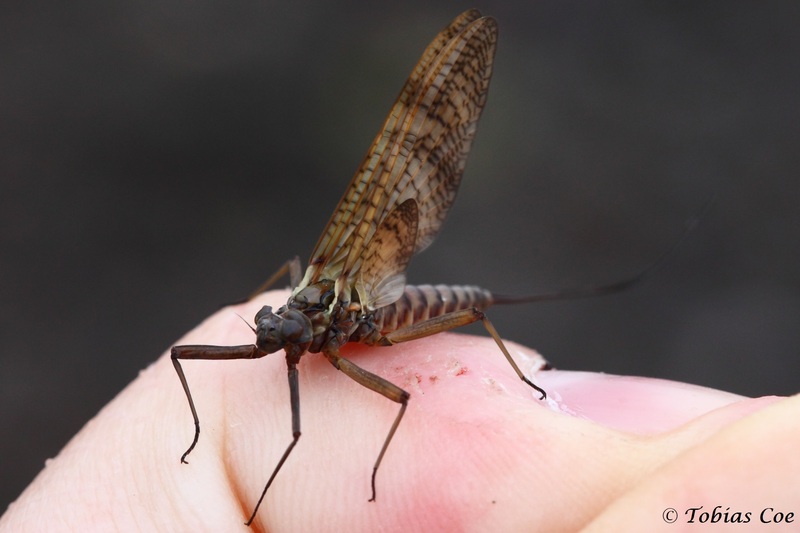 We started out in the morning flicking nymphs through a few likely runs and pools while waiting for a hatch to start. After a short lunch break it was back to the river and from that point on the river switched on. Observing the river from a road bridge, we saw the odd fish start to rise and then the hatch got into full swing. 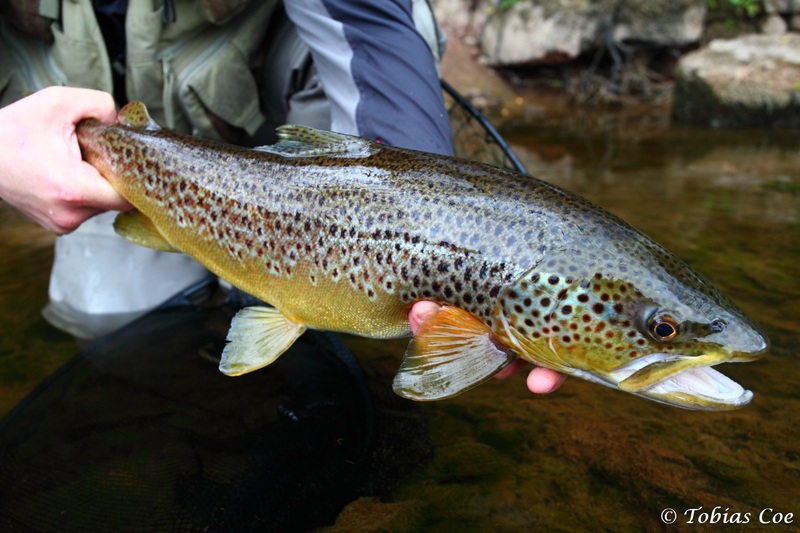 The next three hours saw a consistent stream of olive uprights, iron blue duns and the odd brook dun coming off the river and the trout responded accordingly. Between the two of us, we had over 50 fish in the afternoon, both grayling and brown trout. The pick of the fish was a cracking brown trout of 4lb 2oz and Howard lost another fish of a very similar size when the hook pulled. Just a stunning few hours fishing. Frustratingly, that evening the heavens opened and it rained all night and into the next morning. Heading to the river about noon, we watched the first few pieces of debris drift past, before the river rose two feet in as many hours. Our last day of fishing was on a high, but clearing river. 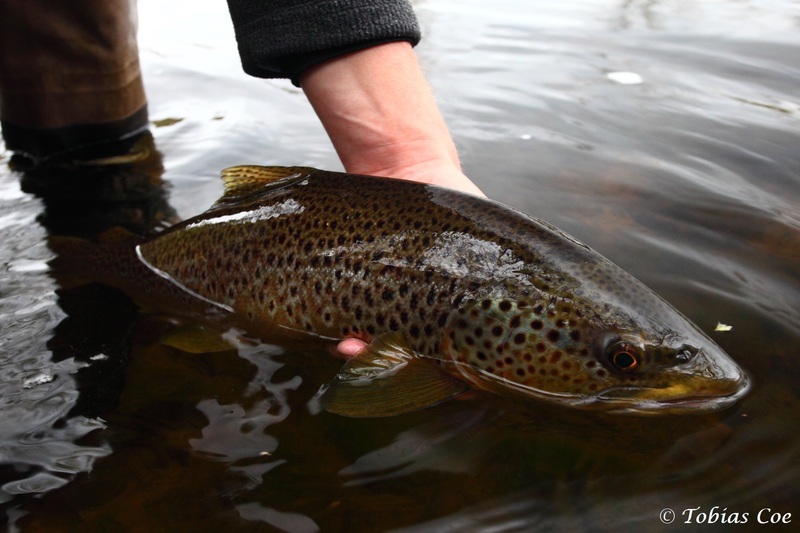 Following the sharp spate the day before, the hatch was very much suppressed, as was trout activity. Despite this, we still managed to pick up a few fish to 2lb, including a couple on dries.